EDGECAM is a Market Leading CAM system capable of programming milling, turning and mill-turn machines. Edgecam combines unrivalled ease of use and sophisticated toolpath generation, providing an extensive range of 2 to 5-Axis milling, turning and mill/turn strategies, seamless CAD integration and sophisticated automation tools. 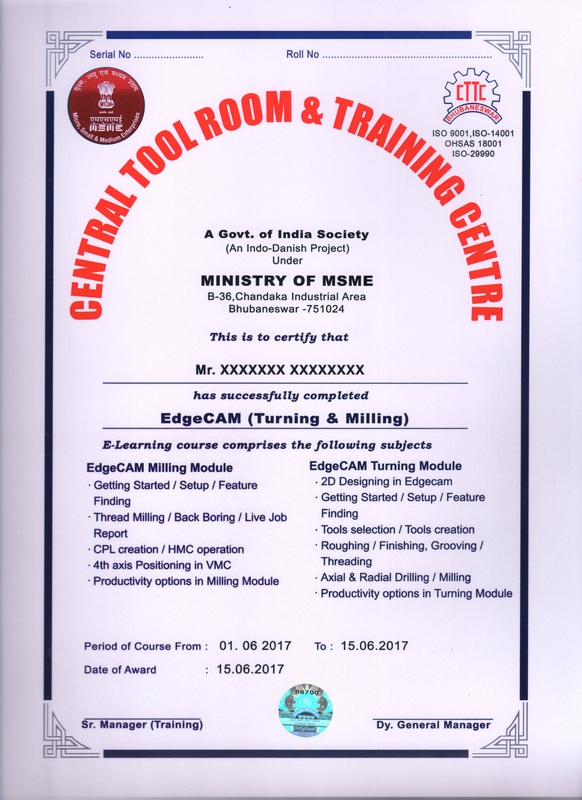 Keeping this in view, CTTC with Kriatec Services are organizing an Online course on Edgecam.The objective of this course is to ensure that participants are exposed through Milling and Turning. This programme is designed for the students and professional of Diploma / BE / ME in the line of mechanical / manufacturing.